Facebook announced changes to their ever-changing News Feed algorithm that will impact the way brand content is distributed. Of course, this will certainly impact some brands more than others. Some are likely to take a hit in traffic. Others could see an improvement in referrals. What happens to you depends on whether you’ve been sharing links the way Facebook has long recommended and whether you choose to ignore these final warnings. This type of content gamed Facebook’s News Feed algorithms. 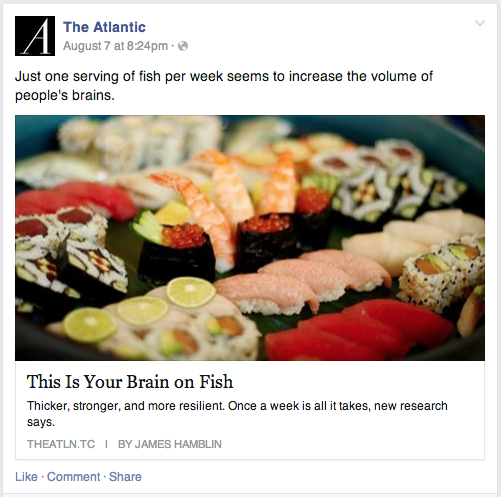 Since Facebook observes engagement signals to determine what content users will see, click-bait articles have been taking over the News Feed. Of course, that doesn’t necessarily mean that people want to see this content. The purpose of click bait is to get a user to click the link, resulting in more people seeing that story and clicking it as well. But in reality, many users clicking were leaving unsatisfied. And since these articles have been taking over the News Feed, they have been preventing users from seeing content they actually want to see. That, of course, is bad. Facebook surveyed users and found that 80% preferred links with headlines that helped them understand what an article was actually about. As a result, Facebook is making a change. Facebook says that over “the next few months,” distribution of this type of content will be negatively impacted. It’s not clear when this will begin or if it already has. This is a question that is sure to arise. The truth is that it’s not in the words of your title but whether you deliver on your promise. 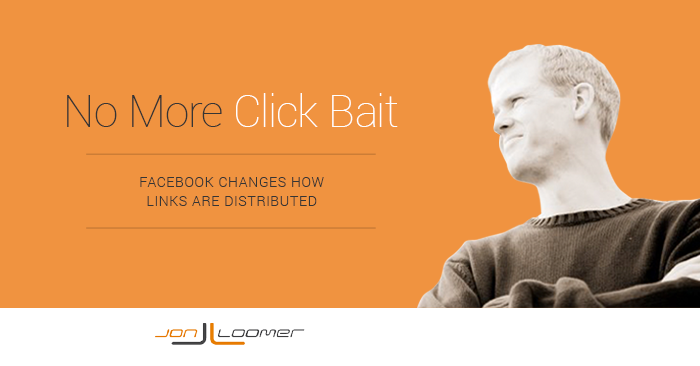 So while the focus is on click bait, it’s really about directing users to content that they spend the time to read and then come back to Facebook to share it with their friends. These would be signals to Facebook that you are sharing valuable content and it should be shown to more people. On the flip side, if Facebook sees that an article with a high number of clicks is resulting in low time away and few shares with their friends, you can expect such an article will get less distribution in the future. Click bait is one example of brands attempting to take advantage of an algorithm to improve performance of their content, even if it lacks value. Another is the way they’ve been sharing links. For a few years now, brands have taken note of the fact that photos and text updates tend to get more reach and/or engagement than a standard link share (pasting in the URL and allowing Facebook to pull in a thumbnail, title and description). As a result, they saw an opportunity. You’ve undoubtedly seen brands share boring text updates with a link in it, but no link preview. This was done in an effort to reach more people because their results showed that Reach was higher with text updates than link shares. 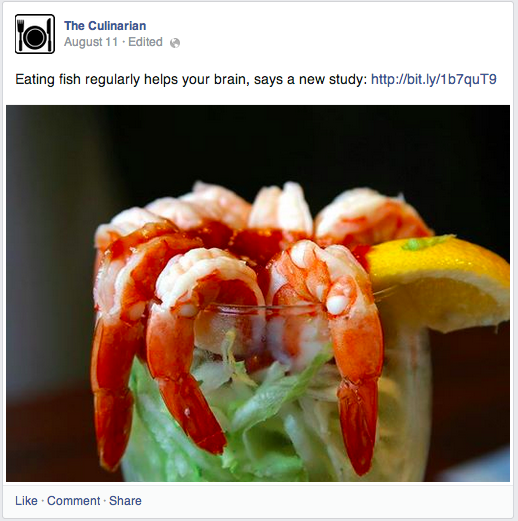 The theory was that photo posts received more engagement, so they “performed” better than a standard link share. So brands shared links in this way to get that additional reach and engagement. Of course, most brands sharing in this manner were neglecting an important metric: Website clicks. Were they actually driving more website traffic in this way? The confusion centers around the word “clicks.” Brands think they are getting better success from the photo share because it gives them more photo clicks, but rarely will it provide more link clicks. 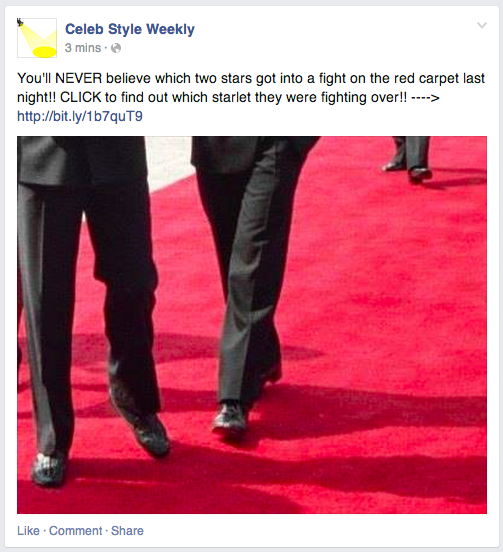 As a result, Facebook will begin favoring links shared with a standard preview as opposed to with an attached photo. Bottom line: Users don’t share links in this way. The reason brands are doing it is due to a perceived weakness in the algorithm. I encourage marketers to give their methods some additional thought. Facebook is a social network. Users are kings. You should think twice about sharing in ways that are unnatural to the user. Marketers tend to overreact whenever such news is announced. Let’s not get crazy here. If you previously only shared links with a photo, you should consider changing this. It doesn’t mean the old method won’t reach anyone, but you should take a very close look at your metrics to determine what is and isn’t working for you. It doesn’t mean you should stop sharing photos. I have a photographer friend who benefits from that extra real estate within News Feed to share his photos. He swears he gets better results all around when he shares photos with links in them. He should continue to do so, but he should also split test it against the way Facebook intends. I have little sympathy for those who use click bait. Yes, it “works.” But as a user, it’s freaking deceiving and annoying. I’ve grown tired of seeing these titles in my News Feed and I’m glad Facebook is doing something about it. End of the day, you need to provide value. You need to follow through on the promise you made with your share. And you need to make a user’s experience on Facebook better. If you fail at that, you can expect that your content will be punished. I’ve preached a very simple approach from Day 1: Share content that is helpful, educational or entertaining. Do not deceive. Do not prioritize posting method over the content. And do not chase an algorithm. Those who follow these simple rules care very little about changes like the ones described above. I’m actually a bit exhausted by this. I’ve been encouraging people to share links the way Facebook intended for years now. I wrote this post in February of 2013, begging you to stop using text updates and photos to share links. Facebook wants to highlight the best content. They need users to have a good experience, see the content they want to see and spend more time on Facebook. 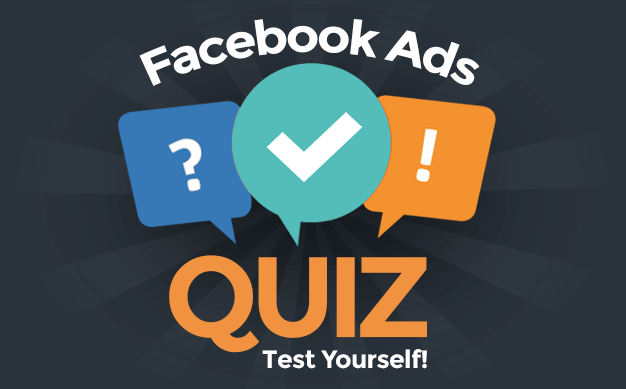 Fewer users online and less time on site will lead to less advertising revenue. Within the past year, Facebook has repeatedly rolled out algorithm updates that reward authenticity. They found that memes and asking for likes were throwing off the News Feed, so they made an adjustment in August of 2013. They found that like-gating was resulting in people seeing content they didn’t necessarily want to see, so they ended that practice recently. Maybe these changes anger you. Maybe they will be a wake-up call. In reality, you should have expected it. Anything that results in an artificial inflation in distribution or doesn’t authentically reflect a user’s interests does not benefit user experience on Facebook. What do you think of these changes? Are you impacted?